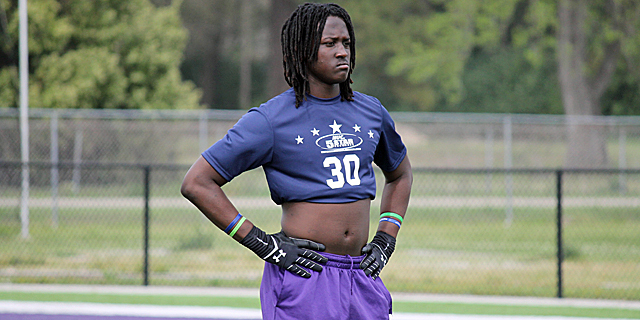 Outside linebacker Dwaine Thomas is the newest addition to Texas A&M’s 2015 recruiting class. At 6’3” 210lbs, the rangy and explosive athlete is simply a playmaker. In his HUDL film, he forces 6 fumbles on the first 6 highlights. These highlights are not just a flash in the pan. During his senior season alone, Thomas recorded 131 tackles and 7 sacks. His commitment gives the Aggies their 13th defensive recruit and 23rd overall. Thomas, a three-star recruit, flipped his commitment from Louisiana-Lafayette to Texas A&M during his official visit this past weekend. He held offers from Indiana, Kansas, Texas Tech, and was drawing interest from Oklahoma and TCU. From Bouette, LA, Dwaine is the second Louisiana recruit A&M has landed for the 2015 class joining Deshawn Capers-Smith. He will go down as John Chavis’ first recruit, a rather fitting one given the recruiting ties Chavis has built in Louisiana.